With some people prophesying the doom of home automation and others worshiping its progress, the future of this industry is a very controversial topic. 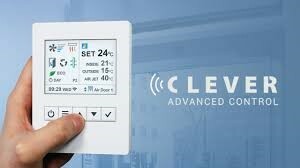 One thing that is for certain is that the popularity of home automation has significantly increased over the years. Research findings have shown that more people are purchasing home automation technology today than it was 10 years ago. With the home automation industry steadily growing, expectations are also building up on the new features that will be developed in the upcoming home automation gadgets. The smart home technologies that most people are knowledgeable of or in love with, such as security products, smart lighting, and Wi-Fi thermostats will only be getting smarter in the future. Already, smart virtual locks let you remotely lock and unlock your doors, or schedule when the doors will be unlocked. Home security cameras on the market are capable of differentiating a person from an animal or an object, like a car. In the near future, these technologies will have enhanced resolution and will work perfectly even at night. Robotic systems, like the Rhoomba, which is a floor vacuum system is already making headlines for reducing workload in homes. In the future, robotic laundry folders and washers and even highly efficient robotic chefs will be availed in the market. The Samsung Family Hub Refrigerator has already set the pace for futuristic home automation appliances. As home automation technologies become more popular, big companies are expected to start mass producing automation gadgets, resulting in competition in prices which will benefit consumers. 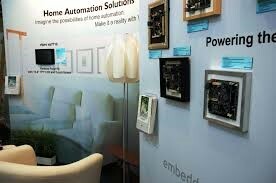 Most homeowners will incorporate different aspects of home automation in their houses. The devices themselves are expected to attain plug-and-play kind of usability which will mean consumers won’t require the help of technicians or support professionals, and will buy smart home gadgets from the store and do DIY installation themselves. basauthor	2017-08-10T11:45:06+00:00	August 16th, 2017|Comments Off on What Is The Future of Home Automation?